Joey is in the Championship! The book Joey has given new meaning to the term dark horse! Who would have ever dreamed the true tale of Hope Reins’ blind Appaloosa would now be in its 10th printing by Tyndale in less than one year? 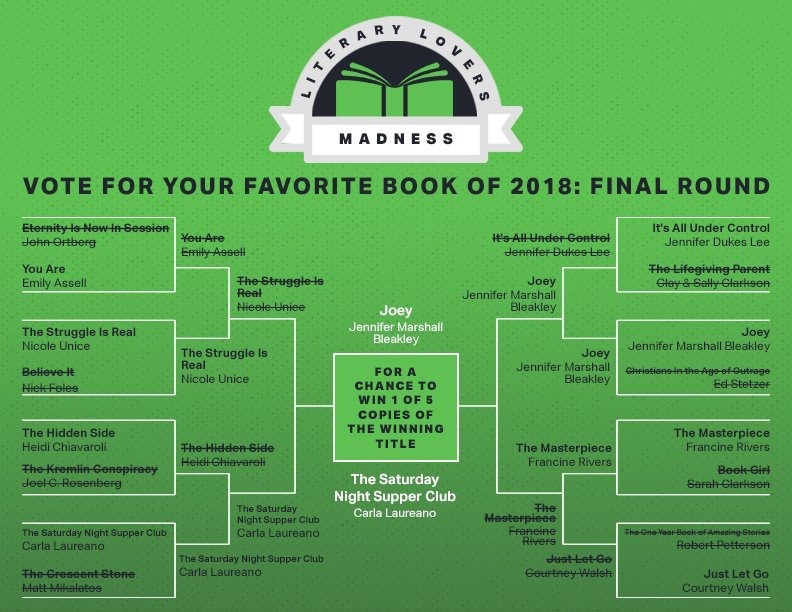 And, who would have ever thought Joey would triumph over books by some of the most popular Christian authors to compete in the LAST round for Tyndale’s Literary Lovers Madness Final Four? You did! Thank you for supporting Hope Reins and the extremely talented author of Joey, Jennifer Bleakley. Could you take a minute out of your day to vote for Joey in the final championship round?